The truly stunning martial arts epic ‘The Assassins’ and the magnificent classic Wuxia ‘The Four’ are out this week from Universal Pictures (UK). Crouching Tiger, Hidden Dragon star Chow Yun Fat returns in The Assassins, an epic tale of love, power and betrayal. Filled to the brim with stunning visuals, Eastern promise and superstition, this historical tale of political intrigue and doomed romance sits up there with the best martial arts epics of recent years and quite simply will take your breath away. 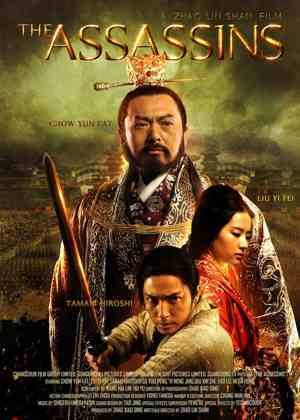 The Four is a classic Wuxia with a supernatural twist from the director of the magnificent Fist of Legend, Gordon Chan. Filled with stunning action sequences, an intriguing central mystery and brilliant monsters, The Four is a must-see for any martial arts or horror fan.